Facebook Inc (NASDAQ:FB) social media platform users only used to copy video links from YouTube and other video sharing platforms before pasting them on their walls in order to share them with friends. Lately, many users are uploading videos directly on their Facebook timelines. As for users, it’s never a big deal as long as they can share the video. But what’s unknown to them is that someone is feeling the heat. That someone is Google Inc. owned YouTube. According to Socialbakers analytics, Facebook Inc (NASDAQ:FB) video shares are nearing that of YouTube videos on the platform. And the biggest social media company has done a lot to make uploading videos directly on the site a lot easier. If you think that’s it, then Facebook Inc (NASDAQ:FB) is out to prove you wrong. The network has two angles to it; videos uploaded by users and advertisers’ videos. The platform has made it easier to share, comment and like these native videos. Another notable feature is the ability to tag friends by just clicking a button. Most of the time, the most important thing is the engagement that the videos draw. 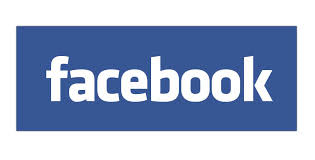 The social nature of Facebook Inc (NASDAQ:FB) platform ensures that many people are engaged. It’s also a lot easier to share a video you like with friends and have the friends also share with their friends, ending up reaching more people than you would reach on other platforms. Even though Facebook Inc (NASDAQ:FB) hasn’t come anywhere close to YouTube in terms of video bank and outreach, the social media platform is posing a big threat to YouTube. And the more people appreciate the platform when it comes to video sharing and viewing, the harder YouTube should be thinking about either doing something extraordinary to pull in more users or start packing.